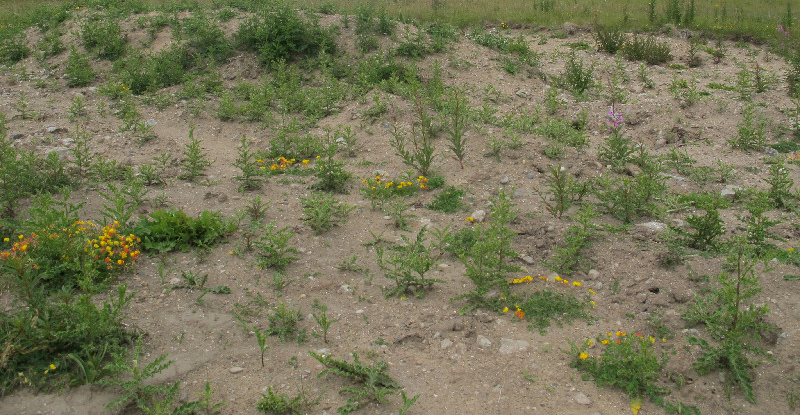 Wildlife charity Buglife wished to survey individual brownfield sites within the Thames Gateway and needed a solution to help them prioitise site surveys. They used Getmapping's high resolution aerial imagery to 'virtually' survey nearly 200 brownfield sites. The Thames Gateway is Europe’s largest regeneration area, stretching over 70 kilometres along the Thames estuary from Canary Wharf in London to Southend in Essex and Sittingbourne in Kent. Buglife had a challenge to survey such an extensive and diverse area. With over 450 individual brownfield sites within the Gateway to potentially map, they needed a solution to remotely assess high priority individual sites and to then prioritise site visits. Getmapping supplied high resolution aerial imagery of the entire Thames Gateway area, circa 1,000 kms, as a seamless layer delivered via an OGC compliant WMS (Web Map Service) feed into Buglife’s GIS. Utilising Getmapping’s high resolution aerial imagery data via WMS feeds, Buglife and Natural England were able to successfully survey the whole of the Thames Gateway as per their project methodology, and were able to re-asses all 198 high priority brownfield sites. Buglife’s report published in 2013 “The State of Brownfields in the Thames Gateway” highlighted the alarming loss of habitats supporting rare species and nationally important invertebrate populations. It identified 198 brownfield sites of high and medium importance for invertebrates including 15 priority species, some of which are not found elsewhere in the UK. The report identified substantial losses of important brownfield sites as a result of new development and the failure of safeguards within the planning system. It recommends a higher level of protection for brownfield sites of biodiversity value to ensure they are not developed in the future. Buglife say their report has been instrumental in raising the profile of brownfield sites within the Thames Gateway as it reached a good number of appropriate news sources for planners, ecologists and local government. The results were disseminated at brownfield conferences and workshops, as well as being cited in a huge number of sources including those by the RSPB and Defra, and the pivotal 2013 State of Nature report. In addition, planning applications for sites highlighted in the Thames Gateway actually state its presence and assessment in reports, and Essex planning application data searches now includes whether or not the site is in the brownfield database and produces a map output.